Do you love fish as much as we do here at Tenstickers (we love fish a lot)? 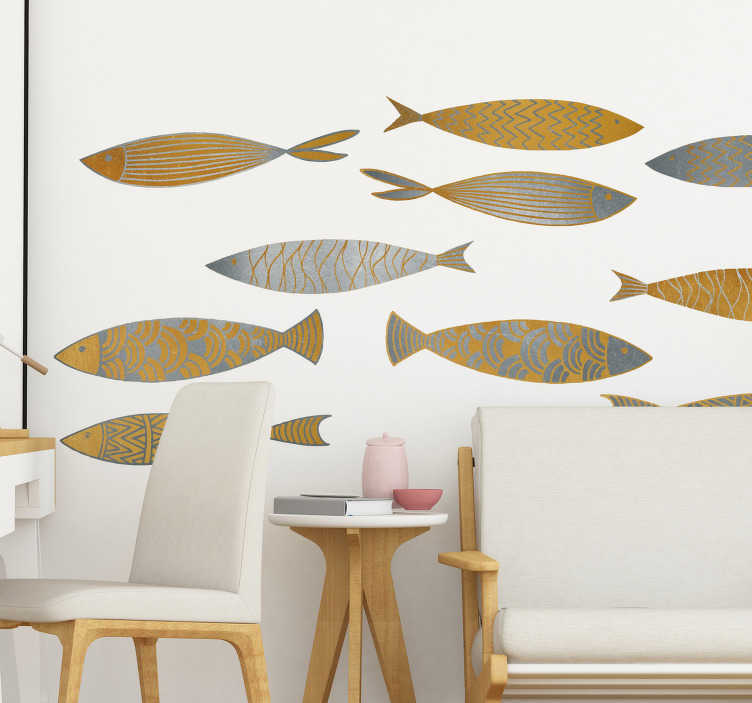 If the answer is yes, then surely it is time to prove your love with this fantastic wall decal, depicting a selection of patterned gold and silver fish! Perfect home decor for fish lovers everywhere!